It's very clear, the future of > automotive sector worldwide goes through hybridization and electrification . However, like everything in life, there are firms that are at the forefront and there are others waiting in the rear. The reason is simple, wait for the technique to mature to make the leap and implement the new technique safely. The FCA Group has preferred to wait, because it has served to mature their plans and see the market trend. Therefore, now that all manufacturers are presenting their ecological mechanics, the Italo-American consortium does the same. Thus, it was presented at the Geneva Motor Show with Plug-in Hybrid versions of Jeep . 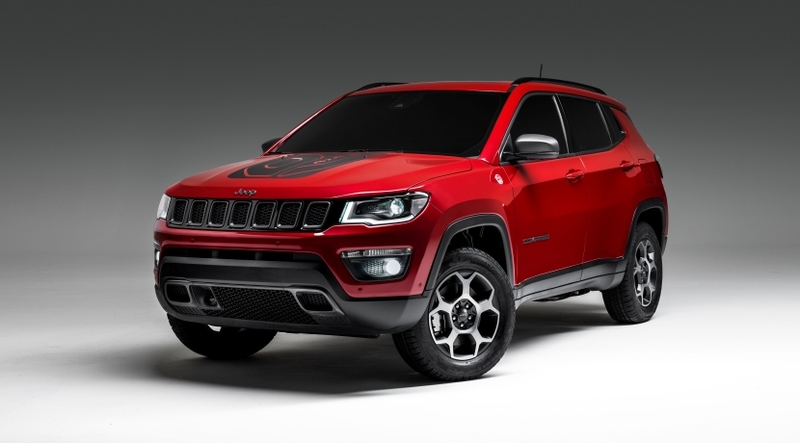 In this way, it will be the Jeep Renegade and Jeep Compass that give the kick-off to this technology in the FCA Group . If you want to know all its secrets, read on. From the start, the Jeep Renegade and Jeep Compass do not change their aesthetics in an important way. For the Geneva Motor Show, the designers have limited themselves to entering details that indicate that we are facing special versions. The most striking are the red tone for the body and the stickers on vinyl that appear on the hood. To them, we should add the shiny black grille or the mirrors' casings. Also, we can see on the body several anagrams that indicate that, despite being hybrid models , they are still Jeep. Among them, there are the Trail-Hawk or Trail Rated . 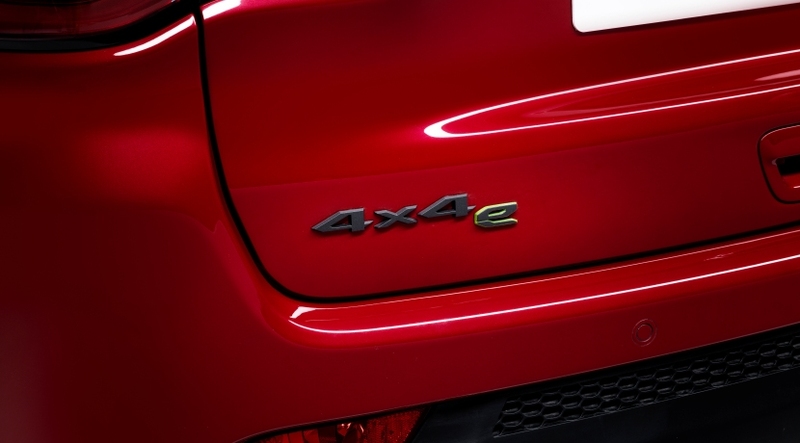 However, there is one very important one, which we should not overlook, the 4x4e logo. This, indicates that the total traction will still be present in the Renegade and Compass, but not as we have known so far. Where if there are changes is inside. Now, they adopt a new digital instrument cluster and central touch screen. In them, information about the operation of the hybrid system and energy management appears. In addition, taking advantage of the juncture, have introduced new materials and appliques, such as those around the gearbox. 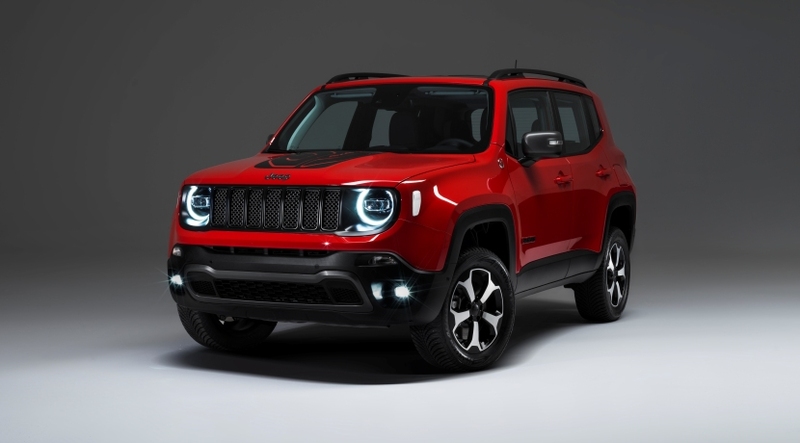 The Jeep Renegade and Jeep Compass Plug-in Hybrid combine the 1.3 FireFly with an electric block. The power of the set is divided into two steps 190 and 240 HP . To maintain the effective all-wheel drive of the Jeep, the power of the heat engine reaches the front axle and the power from the electric to the rear. In this way, both models will continue to offer the same off road capabilities , reducing fuel consumption and emissions. strong>, but they have assured that it will allow an autonomy of 50 kilometers in electric mode. The maximum speed in this mode is 130 kilometers per hour and the passage from 0 to 100 kilometers per hour, approximately, will be 7 seconds.However, they have not yet communicated the official consumption and emission data, as they are finalizing the details of the homologation. For now, there are no dates for your marketing , or approximate prices.